Please look at the following pic. Can you find a hidden deer? Ok. Now record the time taken by your brain to find out the hidden deer. Now reset your timer and have a look at this pic. Now, can you find the hidden tiger? 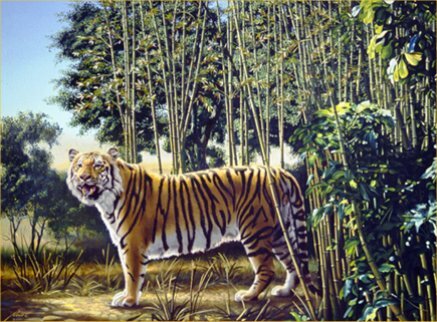 Again record the time taken by you to find the hidden tiger. If you’ve seen both the pics for the first time, you’ll notice that the time taken to find the hidden tiger was more than the time taken to find the hidden deer? Why does this happen? I’ll tell you. Visual illusions are more catchy and are immediately spotted by our receptor cells. 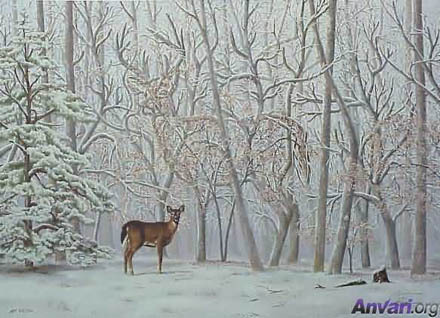 You can spot the hidden deer within 2 – 3 seconds. Now your brain starts constructing things and when you see the second image, first your brain tries to find the image of a tiger in the second image, instead of finding the text. It tries and tries and in the end it gives up. The answer actually lies in the image itself. Look at the stripes of the tiger. But your brain was not able to figure it out in the first shot(Why?). Its not your mistake. Its the way brain constructs things. It happens to everyone. This is called as learning by experience. Now once you have noticed the difference you’d like to tell this to your friends to see if they too can find it in the first shot. Believe me its hard for any normal human being to find it in the first take. This is because right from our childhood we’ve trained our brain to do things in this manner only. This is how we have shaped our brain to be and hence this is how it is. There are more than 100 forms of learnings. Learning by experience has always topped the list. This does not end here. You can cultivate your mind to think in anyway it wants to, you can reduce the time in solving puzzles by thinking in a different way, you can solve the problems easily. There are many techniques. But this requires practice, a lot of practice. Right from our childhood we have cultivated our brains to be like this and changing the way we think isn’t going to be easy. Change is never acceptable in first place. But later you get used to it. To find out more on this read the books by Edward De Bono. And also by doing meditation and a few other techniques, the capacity to think can be improvised. After all, isn’t our brain the most beautiful thing ever created by God? Keep reading for more information on cognitive processes and thinking capabilities.